Before I get into the meat of this post, let me just say that I am very, very, very sad that my blog is being lame. As you have noticed, many images are now black boxes with exclamation points in them (except this post because I still had all the photos on file to redo the post). The last two are good. A friend told me that it might be due to the new format of the new design page, but that would be inconsistent of when I lost all the images. I wrote a note of concern to the blogger people but they have yet to get respond. Anywho, please excuse my little rant. Late this afternoon, I decided that I was in need of snack/dinner. So behaving as a mature young adult, I decided that I would have a large bowl of ice cream. But why stop at just a simple bowl of ice cream? 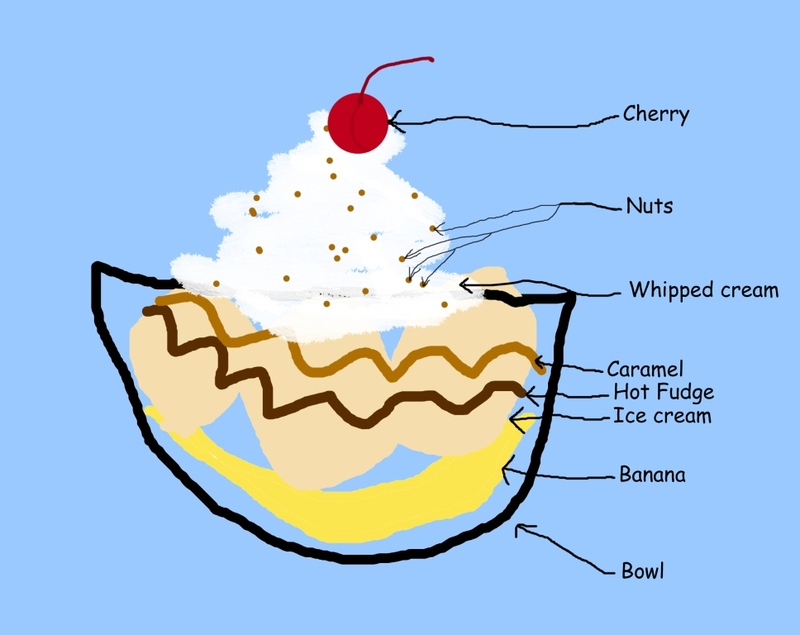 I had hot fudge, caramel, nuts, whipped cream, maraschino cherries, and one last banana in the fruit bowl. 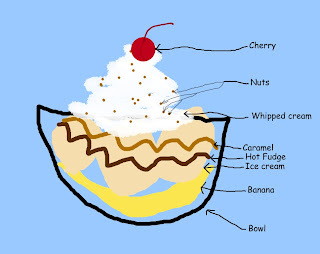 I'll make a banana split. Yum. Plus the banana will make it healthy, right? Aren't my paint skills amazing? How often do we, as human beings, judge others based solely what we perceive? What good things are we missing out on because we're not willing to see beyond the surface to the "fruit?" We, like the banana, aren't flawless on the inside. We are impacted by our environment and the things that happen to us, and those influences make a lasting effect. So as you judge others (we are all guilty of it), consider the banana. Had I not given it the chance, I never would have had the sweet fruit in the bottom of my bowl that contributed greatly to my banana split. Likewise, you may miss out on opportunities to have others contribute their sweetness to your own personal bowl we call life. 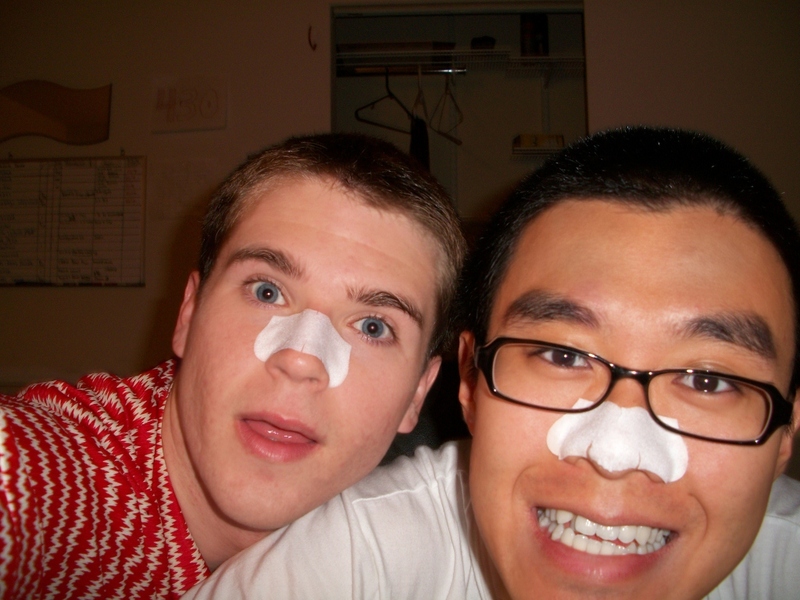 Me and Elder Steve L ridding our nose pores of blackheads. September 2010. A. I'm happy that you believe that banana makes it healthy. I tell myself that all the time. B. I really enjoyed the paint artwork and the detailed labeling. C. New blog friend! yay. This is fantastic! Thank you for sharing your delicious parable. I'll never look at bananas the same way again!